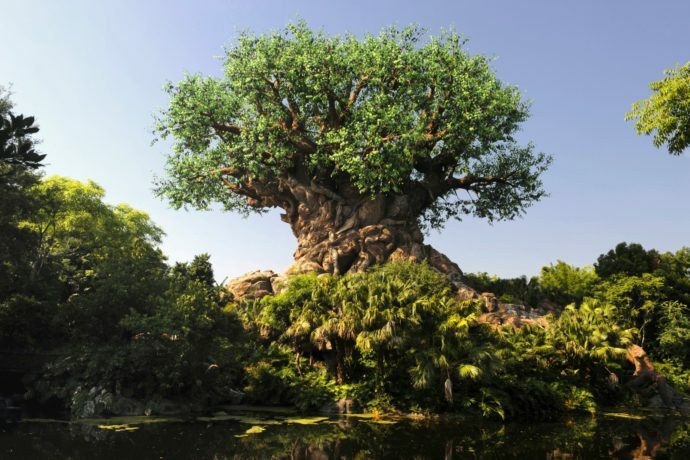 Disney’s Animal Kingdom will mark its 20th anniversary on Earth Day, April 22nd, with new celebrations, special events, and the grand opening of a new show. Guests will be able to participate in enhanced animal encounters and attend conservation talks during Party for the Planet, a limited edition Wilderness Explorer badge will be available for kids, take home a collectible print created by Joe Rohde, special meet & greets with rare characters will be available, and more. The new show, UP! A Great Bird Adventure featuring Russell and Dug from the Disney•Pixar animated comedy-adventure film “UP” will debut on April 22nd. 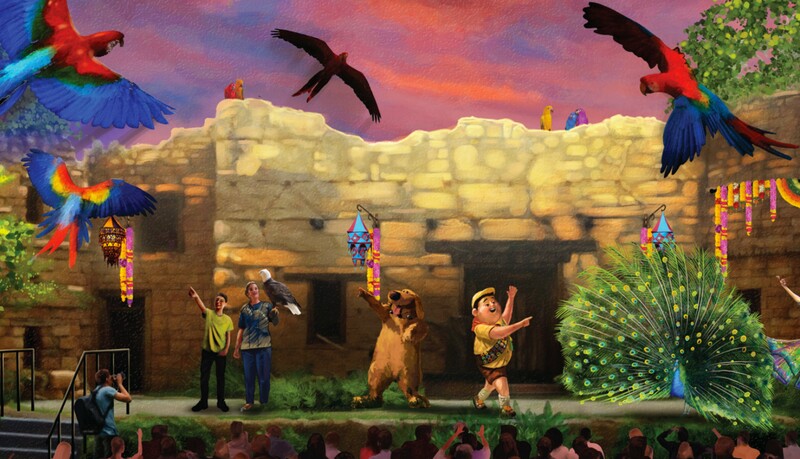 The show, which replaces Flights of Wonder, will give guests the chance to see Senior Wilderness Explorer Russell and his fuzzy friend Dug in a new adventure that includes encounters with exotic birds from around the world. See the full list of special events and celebration for Animal Kingdom’s 20th anniversary below, and stay tuned for more theme park news and updates! The 20th anniversary fun also includes a commemorative adventure guide, limited-edition merchandise, and a special-edition print created by renowned Walt Disney Imagineer Joe Rohde. He will be available on April 22 from 1-4 p.m. to sign prints at Discovery Trading Company. Quantities are limited. • April 22 will mark the debut of a brand-new show, UP! A Great Bird Adventure featuring Russell and Dug from the Disney•Pixar animated comedy-adventure film “UP.” The show will give guests the chance to see Senior Wilderness Explorer Russell and his fuzzy friend Dug in a new adventure that includes encounters with exotic birds from around the world. This free-flying show will be performed multiple times daily. • A “dino-tastic” celebration with Donald and his friends will also premiere Memorial Day weekend in DinoLand, U.S.A. This dinosaur-themed party celebrates Donald Duck’s discovery that his bird ancestors were actually dinosaurs. DinoLand U.S.A. will feature colorful new décor and playful character greetings with rarely seen pals like Scrooge McDuck, Launchpad McQuack and more. A DJ-powered dance party will mix tunes from the truck-o-saurus stage, capping the nighttime festivities. • Memorial Day 2018 commemorates the one-year anniversary of Pandora – The World of Avatar. Here, travelers are transported to a mystical world of floating mountains, bioluminescent rainforests and breathtaking new experiences. Inspired by the blockbuster film, AVATAR, the epic land invites guests to explore a glowing landscape, encounter a larger-than-life Na’vi Shaman of Songs and soar on the back of a banshee.